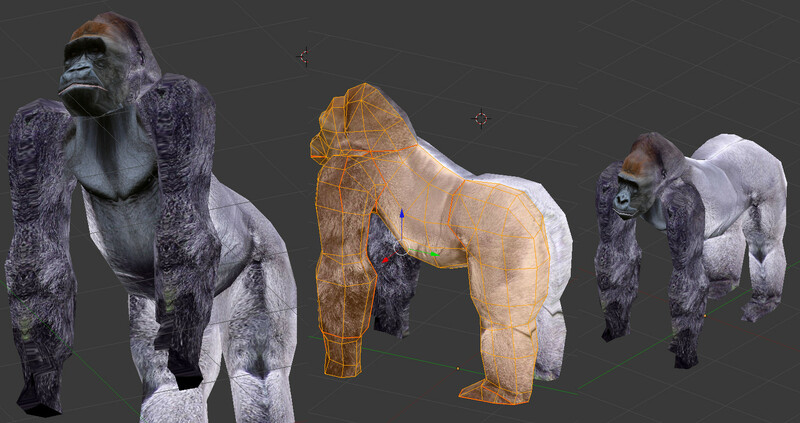 Lowpoly gorilla. Unwrapped. Texture NOT included (it was just a quick projection to see how it looked).